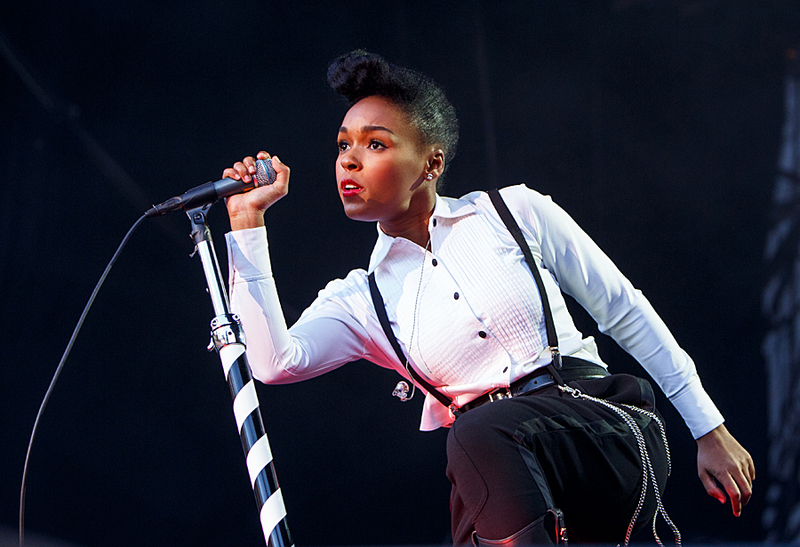 Soul music is known historically for their artists’ performances and their extravagant costumes. 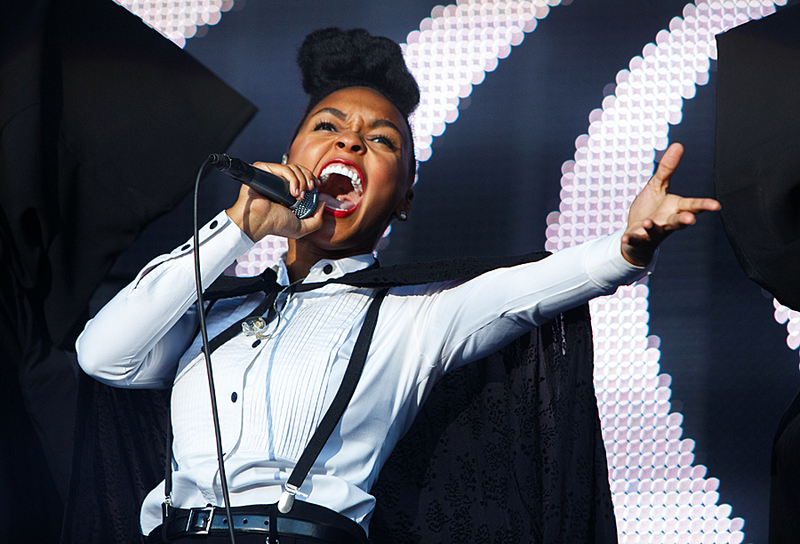 In later years many female soul artists have tried to enter the throne. 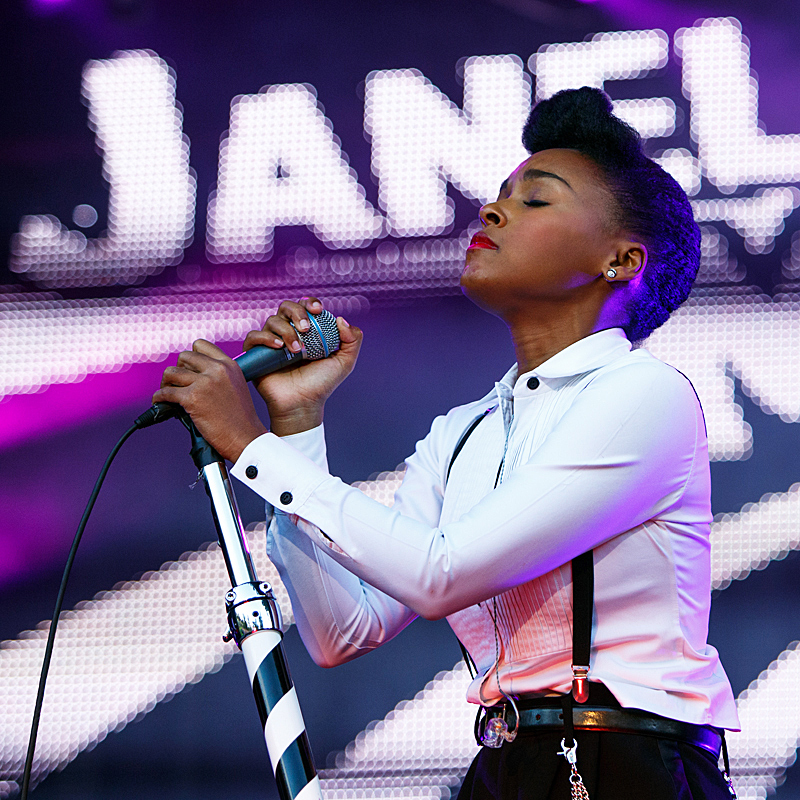 Amy Winehouse was close, but Janelle Monáe looks like the most likely contender. 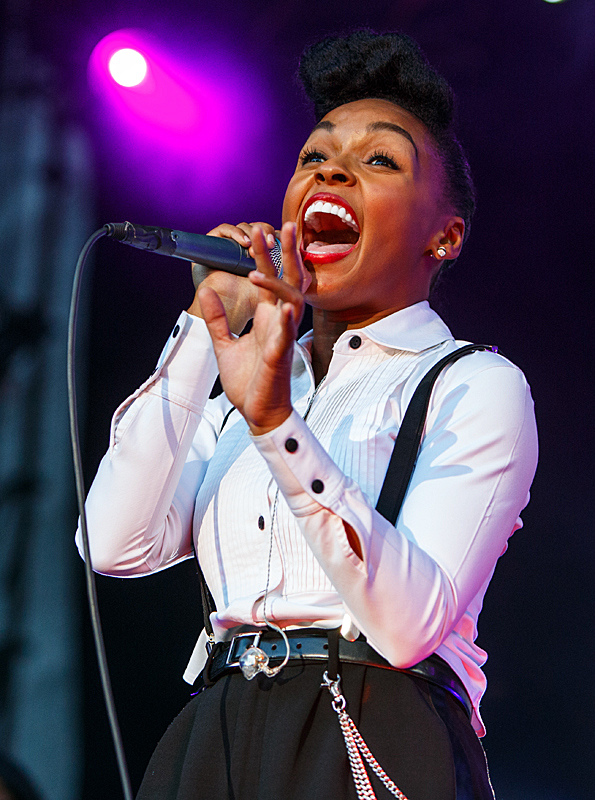 Here are some pictures from her performance at the Molde International Jazz Festival yesterday. 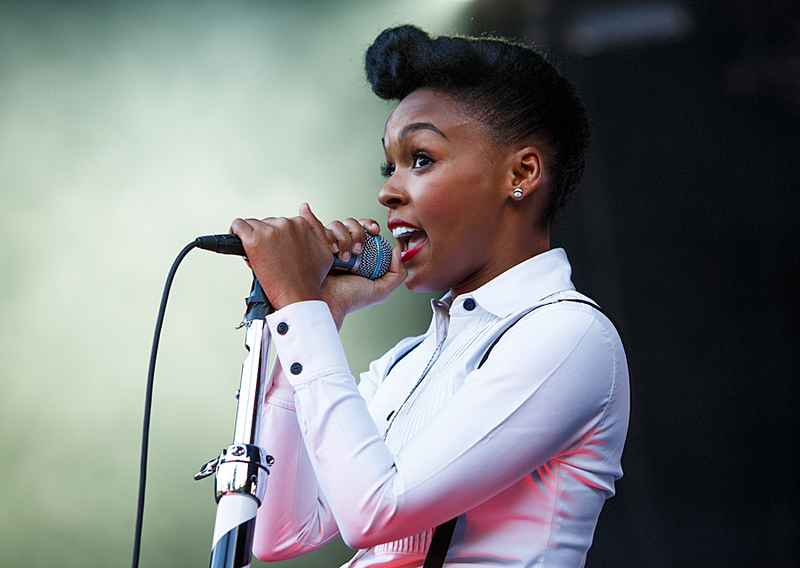 Janelle Monáe is young, she is good looking, and she has a great voice. She has also managed to point the music in a new direction. 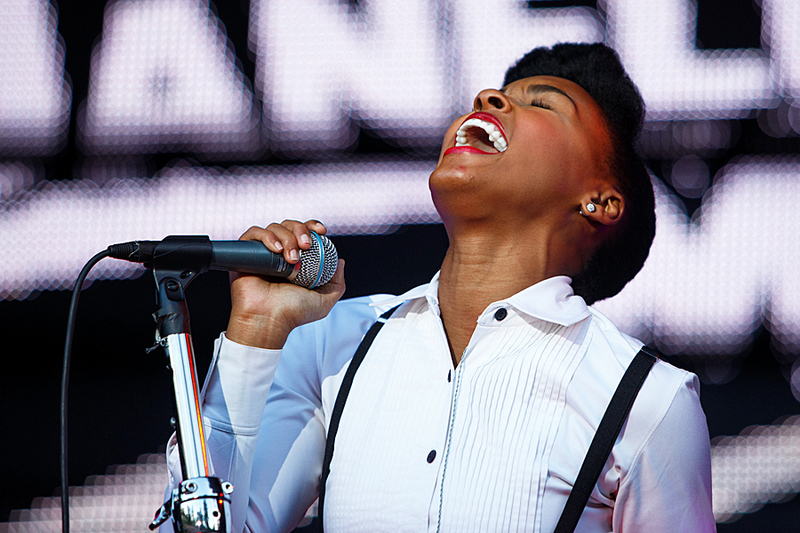 Where Sharon Jones and Amy Winehouse are retro soul, Janelle Monáe mixes street, hip hop, some indie rock into the mix. 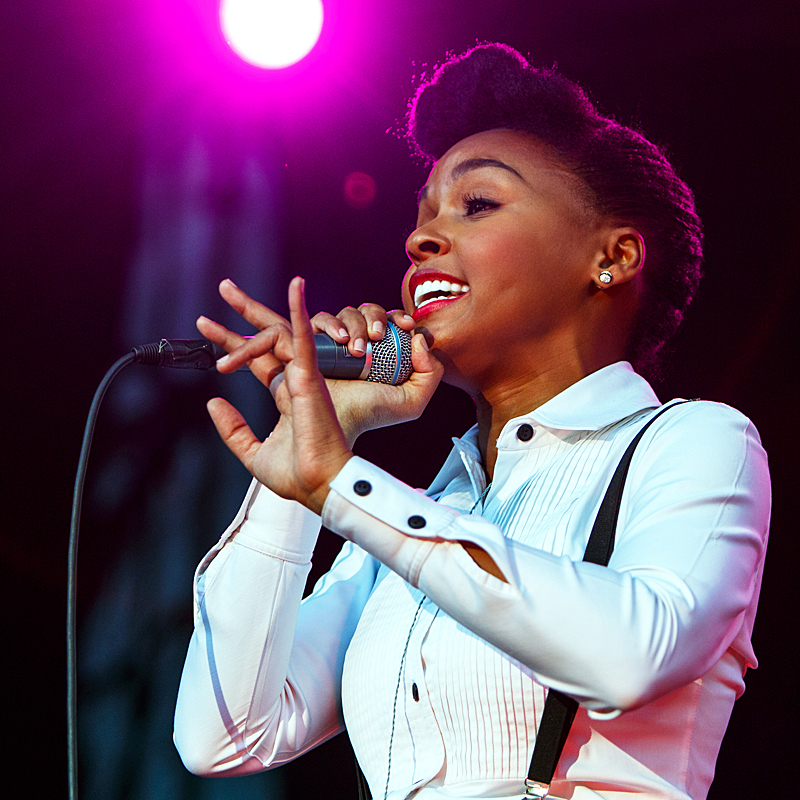 That makes her music interesting and refreshing to listen to. Live she is a controlled fireworks. 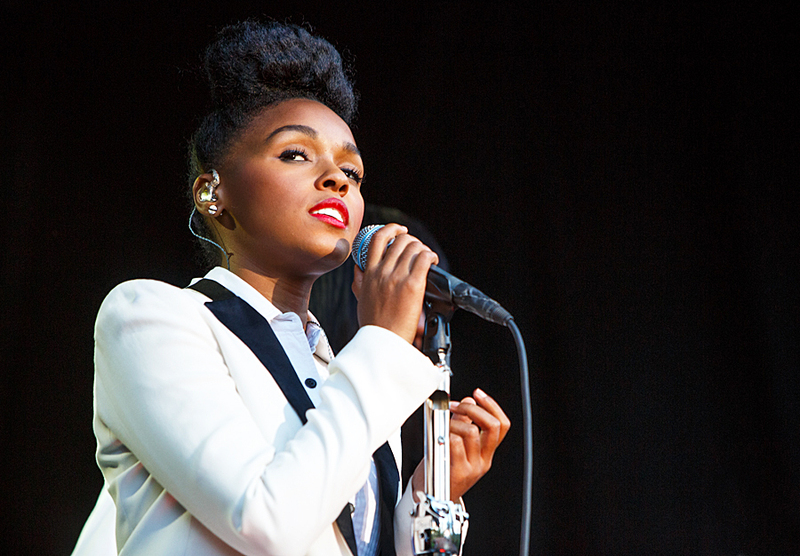 At least from what I saw at the first part of her concert at Molde International Jazz Festival last night. With a band of 14, she delivered a great performance, never standing still, dancing, posing, and with a visually strong show. All the pictures are © Per Ole Hagen, and may not be used without written authorization. 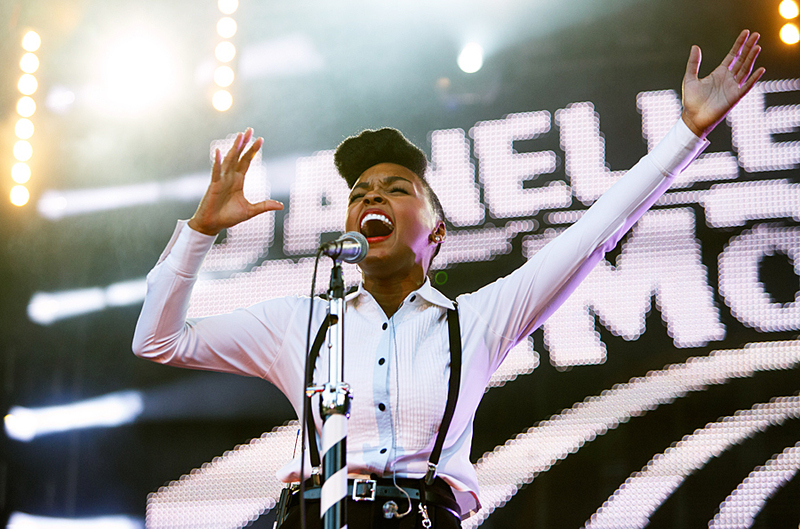 You can see some more pictures of Janelle Monáe from Romsdasmuseet at my picture site, Artist Pictures. 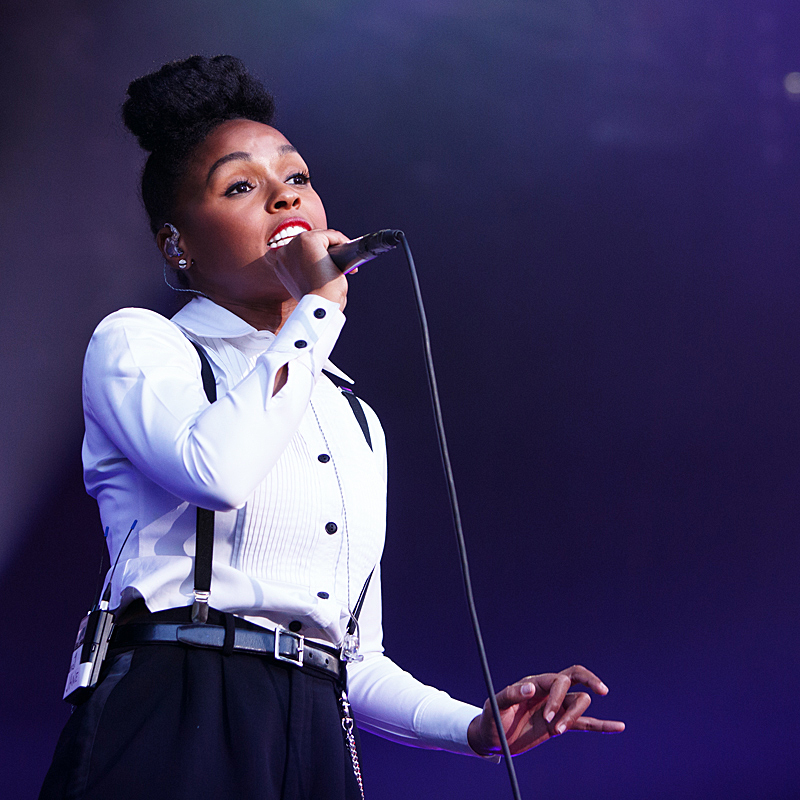 This entry was posted in Concert, Festival and tagged festival, Janelle Monáe, jazz, Molde, soul by Per Ole Hagen. Bookmark the permalink.